Biotune Chiropractic is a modern, vibrant healthcare facility that was opened in 2008. Chiropractors Dr Sebastien Venaille, Dr Charlene Lees and Dr Jill Mokrzycki have a strong focus on evidence-based treatment. 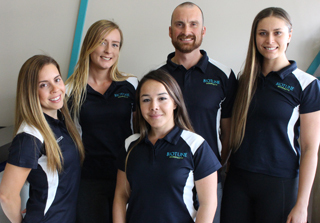 The families in the growing Northern Suburbs area and the Joondalup community may enjoy better health through our results-driven combination of chiropractic care and soft tissue work. We’re here to get people moving freely without pain so that they can be a stronger, more active version of themselves. We do what it takes to stay up to date with the current best evidence for care to pass that on to our patients, without the hype. The Biotune Chiropractic team practice a healthy lifestyle including fitness, mobility and nutrition. With our holistic approach, health-conscious people and athletes with a drive to better themselves feel at home in our practice.